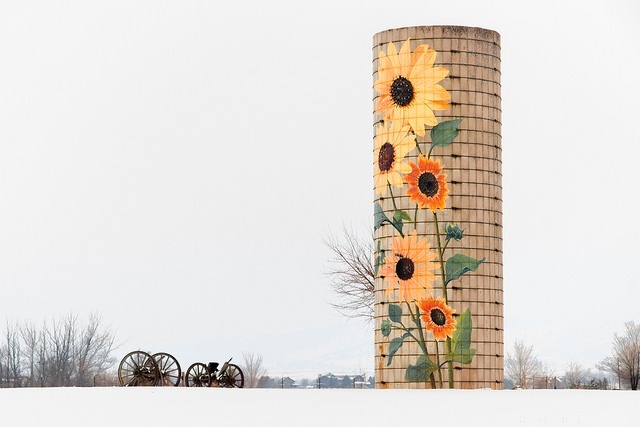 We’re all sick of silos, and sick of talking about silos, and yet they still exist. But don’t think that you have to accept silos as an inevitable part of your association’s culture. Instead, build cross-functional teams that collaborate on technology projects and initiatives—and they will help to break down silo walls. In a siloed association culture, departments operate in their own little worlds using stand-alone systems to manage their work. Accepting this as business as usual, the IT department and executive office make no effort to break down these borders and encourage inter-departmental cooperation. As a result, you can guess what happens: some members end up having duplicate records—one gets updated, the other doesn’t. Imagine the problems this causes when delivering member benefits. Plus, no matter which database they consult, staff are only seeing an incomplete picture of the member and his experience. Here’s another silo scenario that you might recognize. A company member is an exhibitor, webinar sponsor, magazine advertiser, and supporter of the PAC and foundation. Five different departments are going after the same pot of money and capturing that activity in their own databases. No one realizes the extent of the company’s contribution and engagement. What’s worse, the company contact feels overwhelmed by solicitations and underappreciated for her company’s contributions. Cross-functional teams make it possible for staff to see the bigger picture from both the member’s and organization’s perspective. An association is more likely to achieve its goals if everyone works collaboratively with a common purpose. And, members are more likely to get more out of their membership experience if association staff works together as a team, not as separate departments with separate agendas. Let’s take a look at examples of cross-functional teams in action. In our IT Maturity Model projects, we help clients develop an annual technology planning process. Every year, a cross-functional team of department heads and IT staff meets to discuss upcoming projects and develop an IT calendar. By working together on this calendar, staff develops a more global technology perspective. They see the entire scope of technology projects and how they help the association achieve its goals. They have a better understanding of the IT department’s responsibilities and other departments’ priorities. The IT calendar is posted on a shared network so everyone knows when their projects are slated. There’s nothing like an AMS implementation to bring departments together. The project team’s core decision-makers must make the effort to include all departmental stakeholders in requirements discussions for enterprise-level systems. In these meetings, stakeholders make their case for specific system requirements. These conversations help staff understand the implications of any requests they make, for example, customizations that affect the project budget and timeline. These meetings also help staff learn about the needs and goals of other departments. They begin to see beyond their departmental agenda and develop a more organizational perspective. Association data silos, like the examples mentioned already, wouldn’t exist if a cross-functional data team was in charge. Data is a critical and valuable asset, yet many associations operate with the assumption that no special effort is required for its management. Your organization has access to tangible member data, like a company’s participation in sponsorships and advertising, and access to tacit member data, such as volunteering history and subject matter expertise. Unfortunately, silos complicate and obstruct the management of this data. The data team must know the answers to these questions about all member data. How is your organization collecting this information? How are you organizing this information? How are you protecting it? How are you benefitting from it? How is the member benefitting? A cross-functional data team ensures that your data is collected and organized in a way that benefits the entire organization. You’ll have the data you need to make decisions and provide the best membership experience possible. The data team is one example of a cross-functional technology management team. A more common example is the website team. However, without a technology governance plan in place, a cross-functional team is still at risk of becoming a departmental battlefield. With any cross-functional team, you must identify the decision-maker(s) and stakeholders. As on the data team, departmental needs are considered but decisions are aligned with the broader organizational perspective. Occasionally, you’ll encounter a department head who will resist releasing their staff to work on a cross-functional team. Although this doesn’t happen as often as it used to, you may still come across these throwbacks. Usually they behave this way because they’re fixated on their own agenda or feel threatened by the impending change a new system or initiative will cause. If you encounter this type of person, the decision-makers for your organization must make it clear to them that their staff’s participation is best for the organization. They need to get on board or get off the train. In order to be as effective as possible, associations need to ensure that all staff are aware of and aligned with the organization’s purpose and goals. A siloed culture hinders such alignment. Departmental goals and purposes will always exist. However, staff must rise above silos and understand how their work supports the organization. Such a mindset is critical to ensure they’re working to benefit the members and the organization as a whole. Kathleen oversees DelCor technology management consulting practice with a PMP's eye (when the orange cones don't get in her way).